Where are Your Car's Blind Spots? When you were learning to drive, you (hopefully) learned about driving blind spots. Car blind spots are areas around your vehicle that cannot be seen in your mirrors, or areas masked by your vehicle’s structure. It’s important for drivers to know where their blind spots are and how to check them in order to avoid accidents. Your biggest car blind spots are the areas that your side-view mirrors do not show. 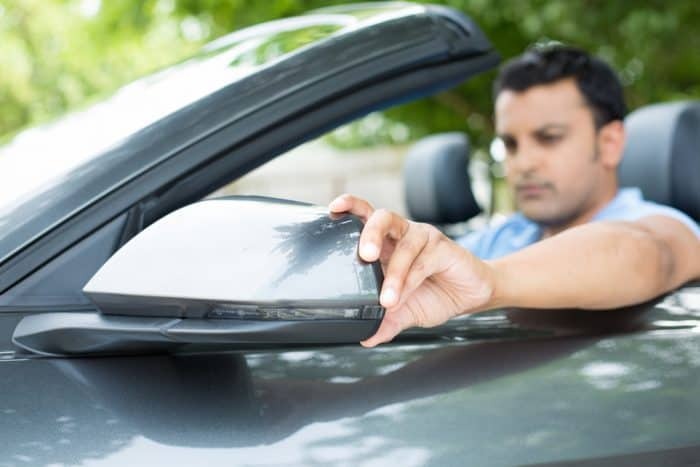 The size of the car blind spot depends on the vehicle, but generally cars driving between your side mirror and the rear of your car are in your blind spot. Drivers have been traditionally told to always do a shoulder check before switching lanes to ensure there is no one in the blind spot. A shoulder check is when the driver looks over his or her shoulder in the direction of the merge to ensure no cars are in the blind spot. One way to avoid having to do a shoulder check is to adjust the mirrors. You can point the mirrors at the blind spot instead of the rear of your car. This way, your view overlaps between your side mirrors and rearview mirror, which will cover your blind spots. The blind spots on each side of your car are the well-known blind spots, but not the only ones to be concerned about. There is another, less well-known blind spot where your side mirrors are, in the area called your “A-pillar”. All vehicles have pillars that act as the vertical supports for your car. Your A-pillars support your windshield, and in combination with the location of your side mirror, create another potential blind spot. The model of your car determines how big this blind spot is, but in general, this spot is dangerous for obstructing cyclists, pedestrians and intersections. These two structures can block your view of passing cyclists, pedestrians, and vehicles at roundabouts, intersections and road crossings. This blind spot is caused by a mirror or A-pillar that blocks the driver’s plain of view, causing an oncoming collision when the driver thinks it’s safe to pull out. It’s important to be aware of your front-end blind spots because it’s easy for smaller vehicles to seemingly disappear as you look to pull out into traffic. Knowing that this blind spot exists could save a life, as it is more likely for a smaller object, like a cyclist or motorcycle, to be hit because of the “other” blind spot than another vehicle. Compensating for this car blind spot is a matter of spending more time looking before pulling out into traffic. You should perform an active scan, moving your head left, right, forward and backward (looking around your a-pillar and mirror) before pulling out into traffic. Taking more time to scan the road will help eliminate the blind spot and allow a passing vehicle or cyclist to be seen as they cross your blind spot. Checking your car blind spots is an important safe-driving practice. You should also make sure that you are not driving in other people’s blind spots. As a cyclist or motorcyclist, you can take defensive steps against A-pillar blind spots by being aware when crossing intersections and slowing your speed as you cross. In the event of an accident, having the right coverage is key. Have you compared car insurance lately to make sure you have the best coverage at an affordable price?